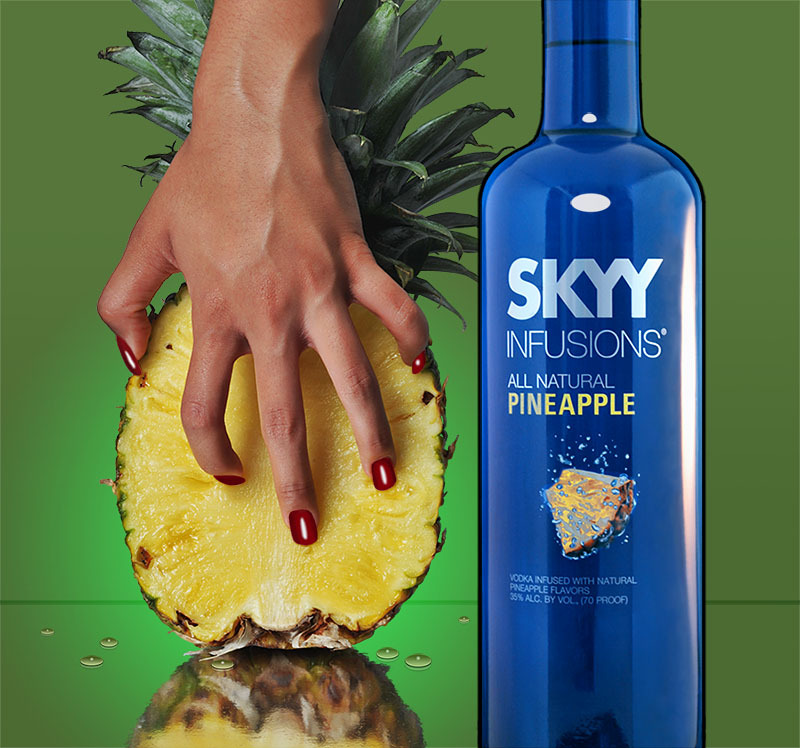 My version of the excellent Skyy Vodka ads; Pineapple to be precise. (See Skyy's version here: http://i868.photobucket.com/albums/a...ps42467846.jpg). I actually shot this back in August 2010. A gal at work agreed to model it. 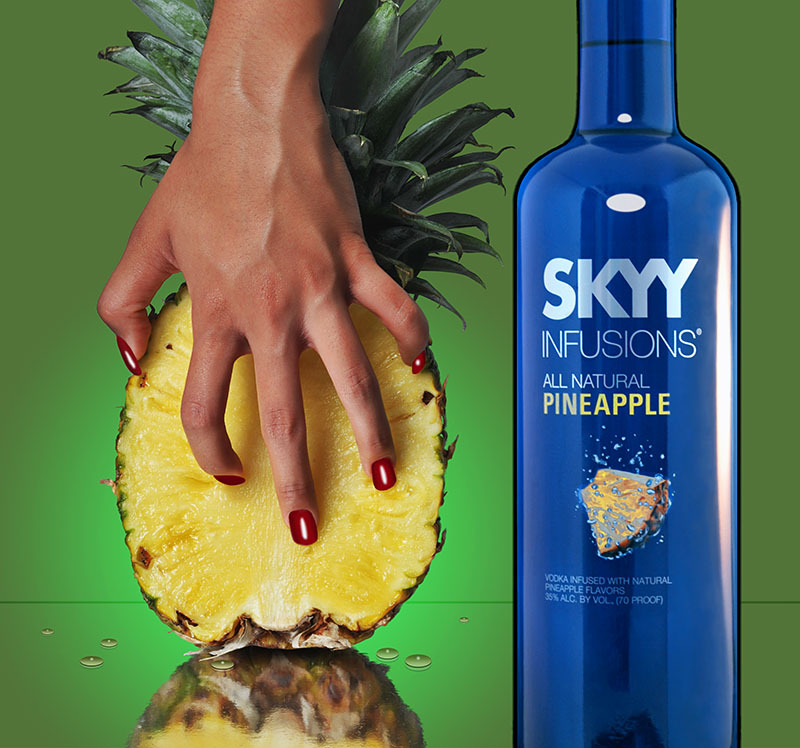 The super hard part was really the bottle, as Skyy's uses a pseudo bottles that looks more 'graphical' than real. I decided not to even go there after seeing how much work that would be, ended up shooting my bottle in one of those Quantaray $100 mini-portable studios (looks like a box). After some but not an extreme amount of clean-up later, it was usable. 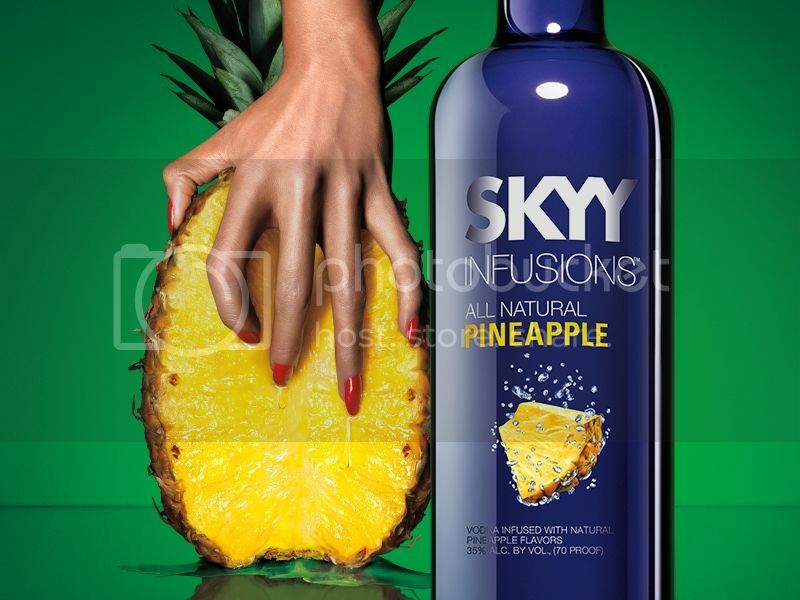 It wasn't intended to exactly copy Skyy's ... I saw early into the re-creation that it was better to adjust it a bit and let it be itself. Could possibly do some dodge and burn so the veins on the hand don't stand out so much, and the bottle a fraction closer to the pineapple, other than that not a bad effort Greg. I like the shot, not a fan of the green background though. Thanks for commenting fellows. As mentioned this one's been in editing for quite some time, and I'm learning a lot along the way. Pete, the original was supposed to be slightly creepy (the original's hand looks like a spider crawling down the fruit). Give that, maybe the veins should stay. I did do an experiment to remove them however - it looked somewhat convincing but became sort of plain. Maybe that's good, maybe not .. will think on it. Anyway, here's a slightly modified version with the bottle intersecting the fruit just a bit. Funky, that's interesting that you don't like the green; I've always been a woods person, so guess green is one of my favorite colors. I tried a different color for an expt though, and it looked crazy Plus it's just a recreation, but maybe I'll invent my own scenes soon and play with my own color schemes.